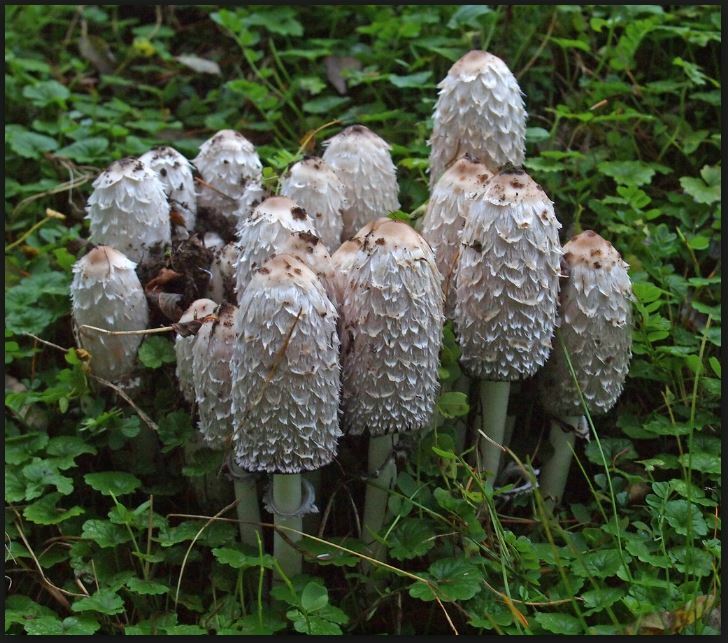 Although fragile in appearance, shaggy mane is highly adaptive growing in meadows, lawns and disturbed sites (e.g. construction sites and along highways) throughout temperate regions of the world. Despite its mild yet delicious flavour and adaptability to many substrates this mighty little stem and cap mushroom is not highly prized because it ‘melts’ very quickly into an inky puddle very shortly after fruiting. However, it is an easy mushroom to grow at home as a companion to many plants, especially those that like hot nitrogen rich top-soil. Cultivate it in your compost pile, lawn or garden beds where you can keep an eye on it to harvest and eat just after it emerges. NOTE: direct sunlight can speed up ‘melting’ so pay attention to your patch!